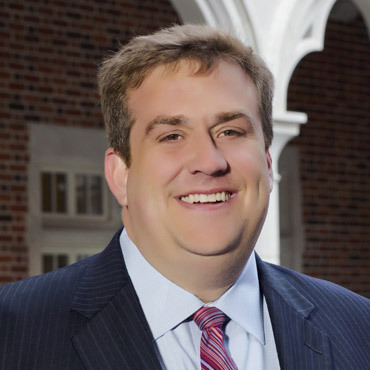 Chris Booberg is a civil litigator with a practice focused on personal injury, workers' compensation and social security disability. Chris has dedicated his legal career to standing up for those who cannot stand up for themselves. He is passionate about taking up his client's cause and helping them get the compensation they deserve. Chris was inspired to become a lawyer by his grandfather who put himself through law school despite being blind. His family instilled in him the importance of hard work, perseverance and helping others in need. These values are what makes Chris such a strong advocate for his clients. He cares deeply about helping his clients get back on their feet and helping them put their lives back together. Chris is a graduate of Midlothian High School. He earned his B.A. in Psychology from University of Virginia and his law degree from T.C. Williams School of Law at the University of Richmond. Outside of practicing law, Chris enjoys spending time with his wife Laura and their three children. The kids' activities keep him busy but Chris manages to find time for tennis and collecting pinball machines. "Chris provided my family with everything we could have wanted from an attorney. At all times, he was informative, candid and emotionally supportive during a very difficult time for us. I highly recommend him."